The 1839 Treaty of London guaranteed Belgium's neutrality. In 1914, German Chancellor Theobald von Bethmann Hollweg infamously sneered at Britain's willingness to go to war over a "scrap of paper." 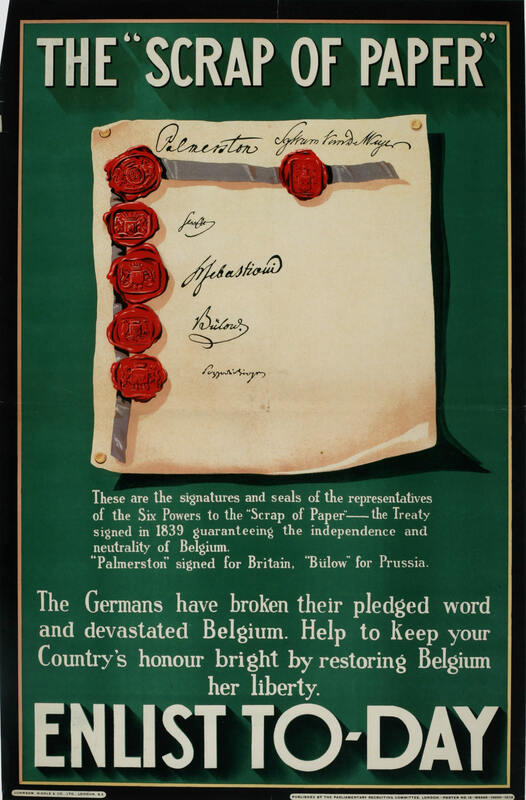 This British poster encouraged enlistment by arousing sympathy for Belgium and support for the British Empire's pledge of honour in its defence.